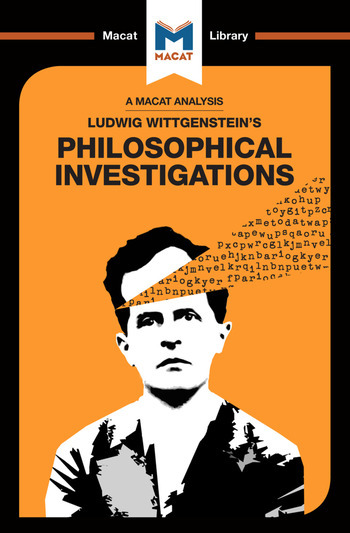 Many still consider Ludwig Wittgenstein’s 1953 Philosophical Investigations to be one of the breakthrough works of twentieth-century philosophy. The book sets out a radically new conception of philosophy itself, and demonstrates all the attributes of a fine analytical mind. Taking an argument from Plato and subjecting it to detailed (and very clear) analysis, Wittgenstein shows his understanding of how the sequence and function of differing parts of a highly-complex argument can be broken down and assessed. In so doing, he reaches a logical position of simultaneous agreement and disagreement with Plato’s philosophical position. Philosophical Investigations is also a powerful example of the skill of interpretation. Philosophical problems often arise from confusions in the use of language – and the way to solve these problems, Wittgenstein posits, is by clarifying language use. He argues that philosophers must study ordinary uses of language and examine how people use it as a tool in their everyday lives. In this highly-interpretative way, the meaning of a word or sentence becomes relative to the context (people, culture, community) in which it is used. Rather than debate abstract problems, Wittgenstein urges philosophers to concern themselves with ordinary life and the concrete situations in which humans find themselves. Dr Michael O’Sullivan is a tutor in the Department of Philosophy, King’s College London. He is the Editor of Wittgenstein and Perception.